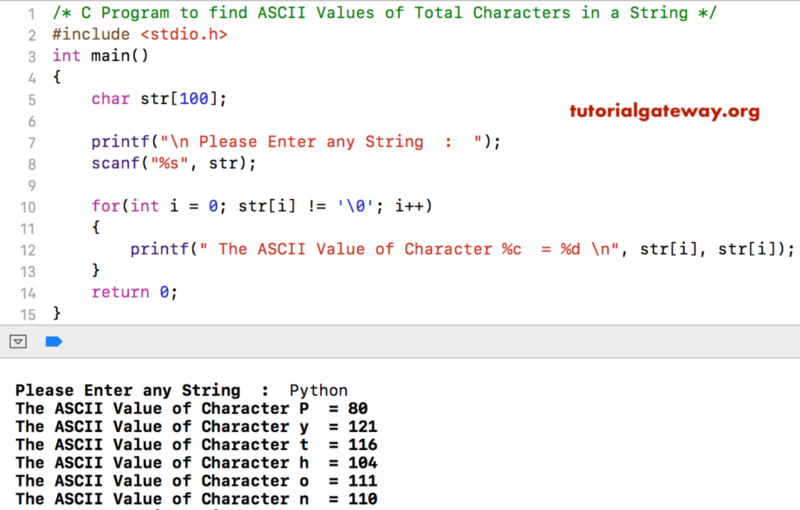 In this article, we will show you, How to write a C Program to find ASCII Value of Total Characters in a String using For loop, and while loop with practical example. This program allows the user to enter a string (or character array). Next, we used While Loop to iterate each and every character inside a string. Inside this, we used printf statement to print characters, and its ASCII values. Please refer ASCII table to understand ASCII values. The condition is True because str = p. So, compiler will execute the printf statement. Do the same for the remaining iterations. This program is same as above. However, we just replaced the For Loop with While Loop.